And some good thoughts here on the costs of war and peace from Laurencia Grant, a cyclist in Alice Springs, published in the Alice Springs News. Man, I wish I’d thought of that (it’s a great “doodling” ;)). 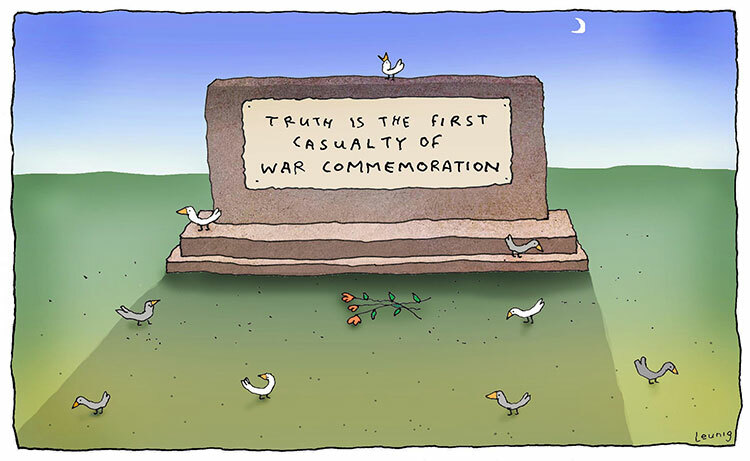 Leunig is a genius, isn’t he? In fact, if he changed his name to Seunig, it would be an anagram for “genius”.